While grilling is a favorite pastime during the spring and summer months, smoking meat in lieu of grilling is more of a fall and winter activity, which sounds nice until the wind is blowing through your jacket and chilling you down to your bones while you check the progress on the meat. Fortunately, there’s a workaround that you can set up and get going in almost no time, whether you’re on a budget or a DIY-er who wants a new challenge. 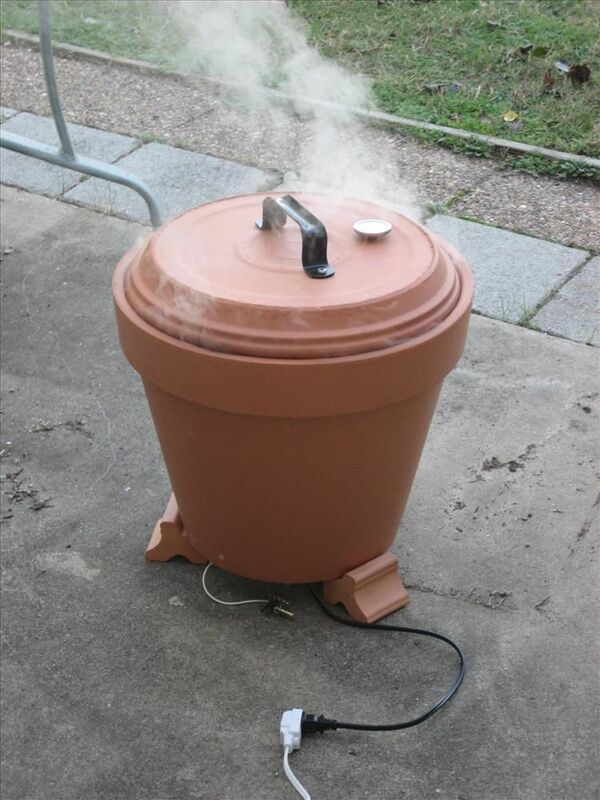 If you’re looking for a small, outdoor smoker, you can create one using a hot plate, a grate, and a flowerpot. Mother Earth News has a simple DIY tutorial with photos that you can make in an afternoon. You’ll need a drill, some washers and bolts, a small piece of wood, and a handle as well as the aforementioned basic materials, as well as pot tray (which will be used as part of the lid). 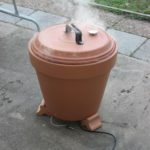 Once you’ve assembled this relatively easy, inexpensive smoker, you can get to work smoking a variety of fish, fowl, or cuts of beef, pork, or even exotic meats. However you choose to use it, you’ll be fielding questions and compliments from anyone who gets to try the resulting dishes. 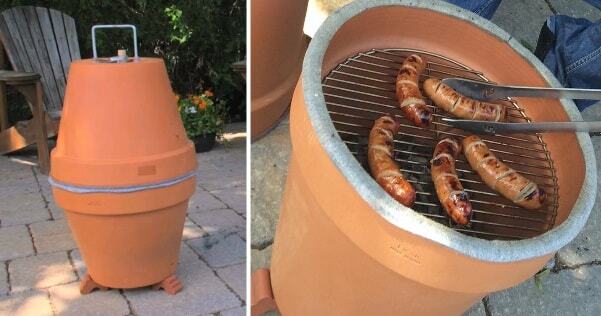 If you want to build your own outdoor cooker, you can find the complete tutorial at Mother Earth News.